I recommend afternoon tea at the Crowne Plaza hotel Battersea for an extra special reason. stunning and with riverside views of the river Thames. You will also get to enjoy watching helicopters take off and land on the roof directly next door! Afternoon tea at the crowne plaza hotel Battersea. London was a semi casual affair. The dresscode is a little more casual than that of other well renowned afternoon tea destinations in London. Service received for afternoon tea was just ok. The scones are both plain and with fruit - raisins. The sandwiches and cake selection for afternoon tea at the crowne plaza hotel Battersea, London were pretty decent, but not the best London has to offer. As far as afternoon tea goes. The sandwiches we enjoyed at crowne plaza Battersea were smoked salmon. Egg mayonnaise and ham on alternating white and brown bread. Our dessert selection consisted of strawberry and custard tarts. Plus chocolate mousse cake bites. Afternoon tea at the Crowne Plaza Battersea included a nice selection of teas. For champagne, we enjoyed a lovely glass of Lanson. Found this Afternoon tea review of Crowne Plaza Battersea useful? Subscribe to www.bestafternoonteainlondon.co.uk for more tips on what to eat and drink in London. 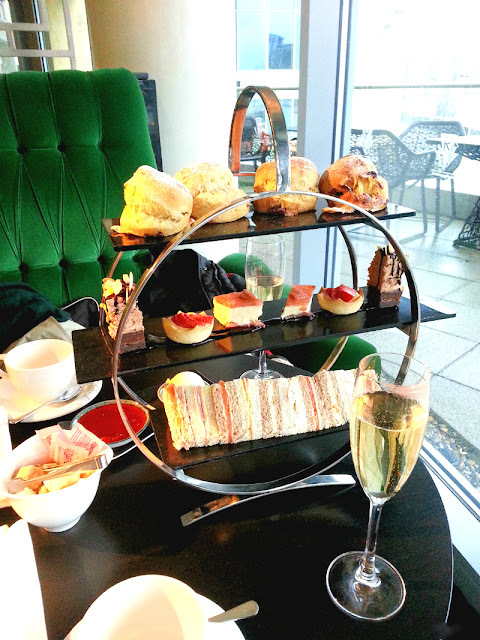 This is a review of afternoon tea at the crowne plaza hotel Battersea London. All information was correct at the time of listing. The photos of afternoon tea at crowne plaza hotel Battersea London are originals, which were taken at the crowne plaza battersea London. Along with any text and personal opinions about afternoon tea and menu are copywritten by said owner of www.bestafternoonteasinlondon.co.uk The photographs and text on this blog must not be copied. Distributed. Sold or printed without prior written consent of this travel and lifestyle blog owner. contact the site owner for more details.